Everything you need to access life-changing dentistry in Edmonds, WA. We strive to make your visit both convenient and affordable. To save time on your first appointment, you can complete our patient forms online before you arrive. We gladly accept the majority of insurance plans. If you need assistance, our team is available to help. 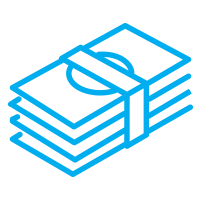 We work with you to get the most out of your budget and the best coverage from your insurance provider. 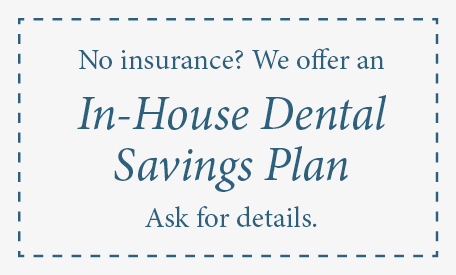 Take advantage of our in-house dental savings plan! Missing or broken tooth ruining your smile? Let us show you how we can give your smile a second chance. Replace your missing teeth with permanent, natural-looking dental implants! 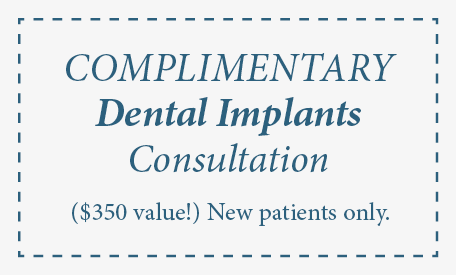 Take advantage of our complimentary implant consult appointment ($350 value) and find out if you’re a candidate. Offer valid through April 15th 2019. 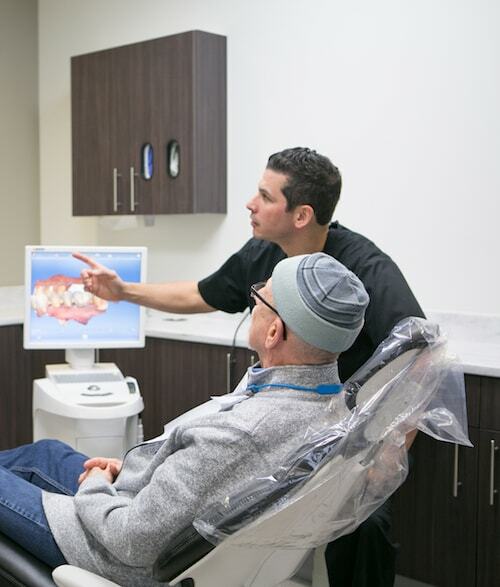 To help avoid any apprehension, here is an overview of what to expect at your first visit with Affinity Contemporary Dentistry. Your first visit is not only about us getting to know you, but you getting to know us. 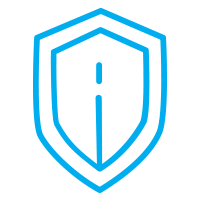 We encourage you to be open, share your concerns, and ask any questions. From the moment you walk in, your comfort is paramount to us. We will do our best to ease any concerns and help you unwind by catering to your needs. We ask you to fill out a brief Health History form. Then, we focus on anything medical that could impact your treatment. During your new patient exam, Dr. Youssef will use modern technology to take full mouth x-rays and examine your teeth. He will perform a gum and jaw check, followed by a non-invasive oral cancer screening. After your exam, our kind doctor will explain his findings and answer your questions. Together we will create a dental treatment plan, which meets your personal requirements. Take the first step on your journey to a new smile.